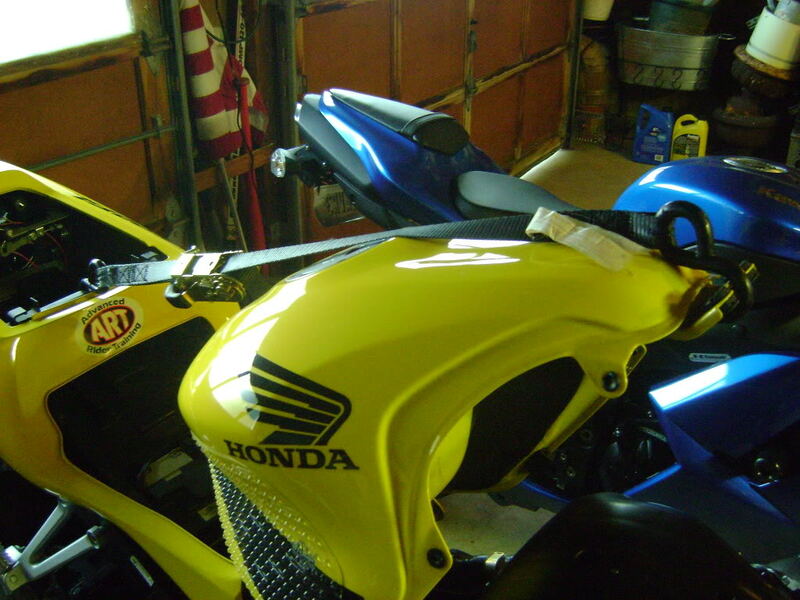 I did this on a 2002 f4i but should be the same for any year f4i, and similar for a lot of bikes. Some background, i did my first track day this yr, an had found my bike was sitting to level, had rear preload up to 6 an backed down on front preload. Well this backing down on the front, plus the fact that the triple trees were 5mm lowered gave me ground clearance issues. So i raised the triple trees up, but this led to a much slower turning machine. So i wanted to raise the rear, for better turning an so i can adjust my front preload without making my bike to level again. So here is how i added some washers to the shock to get the height back that i wanted. First i measured the height to any point on the rear of the bike, i measured to the passenger foot lower foot peg right side, an got 26.125"
Then put the bike on a stand and remove front an rear seats and the air duct covers. Next remove the 4 bolts holding the tank down, 2 in the front, 2 in the rear. Also remove the 2 screws holding the plastic on each side of the seat, so they can move out of the way when you tilt the gas tank back. Now you can see the top of the shock an its mount where it goes through the frame. Take the top 2 nuts of, both are 15mm, the first one was on pretty tight. Now get someone to help you to crack the upper shock mount bolt. The right side is 14mm an the left side is 17mm, i used a 17mm wrench an a 3/8in drive with a u joint an extension to get to the bolt. 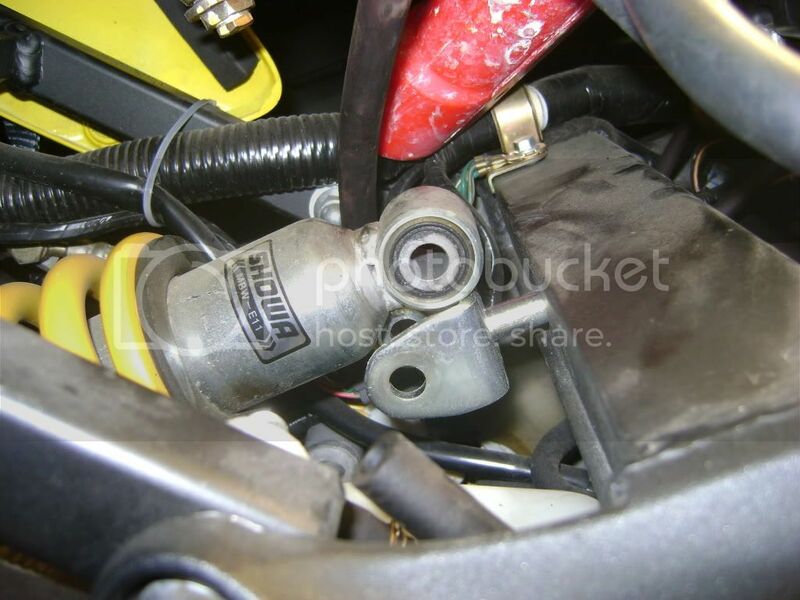 Once this is cracked take off the nut, then jack up the bike from under the exhaust, you can use a piece of wood if you want, until you can easily slide the bolt out. Catch the shock an pick it up with one hand while you slide the mount out under it with the other hand. This was probably the hardest part. Now i added some 3/8 washers totaling 4mm. I read somewhere that it doubles because of the linkage, however i found it triples. So 2-3mm of washers will probably be good for most. Install is just the reversal of removal. Make sure to tighten bolts to spec. An measure again. I added 4mm and measured a hair over 12mm increase in rear height. I will probably lower my washers to 3mm total before the start of next season. Hope this helps someone, even if its just knowing how many mm of spacing to add. Last edited by bluedevil3758; 12-16-2010 at 09:21 AM. 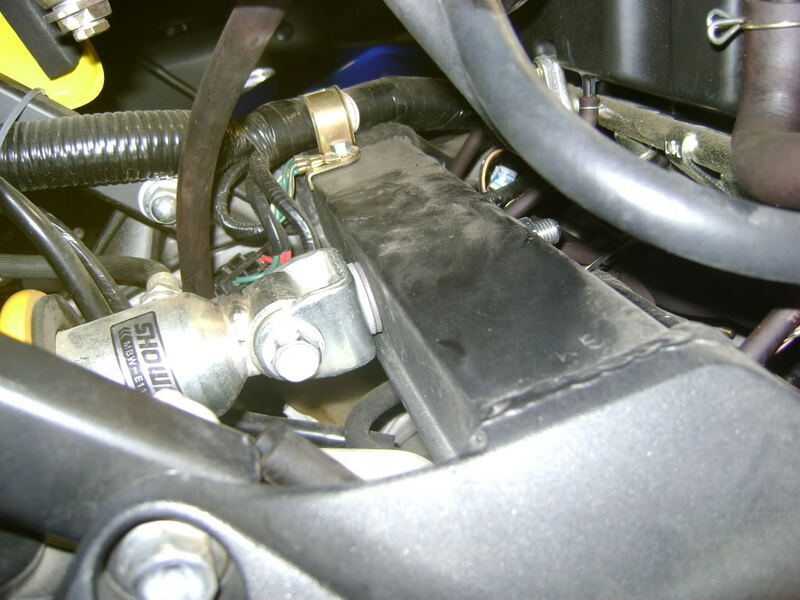 Nice write up.I have done it to a couple of my bikes as well and it works great. thanks man i cant wait to try it at the track. 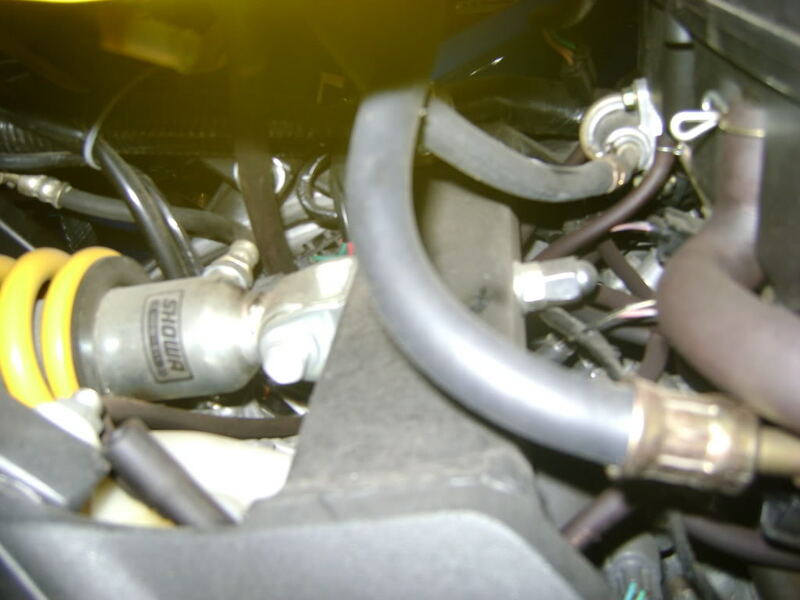 i wasnt gonna do a write up as its not hard but i couldnt find any definitive info for how much 1mm on the shock will raise the rear(3mm) so i figured ill post a write up and now more people will know its a 1:3 ratio. I've added at least 3-4mm of washers in back and plan on adding another 1-2mm now that I re-sprung my front end. That on top of raising the forks in the triple [lowering the front end] has finally given me good front end feel and steering response at the track. Would have liked to had this write up availible when I was first looking into doing it. what are the torque specs for those two nuts?? 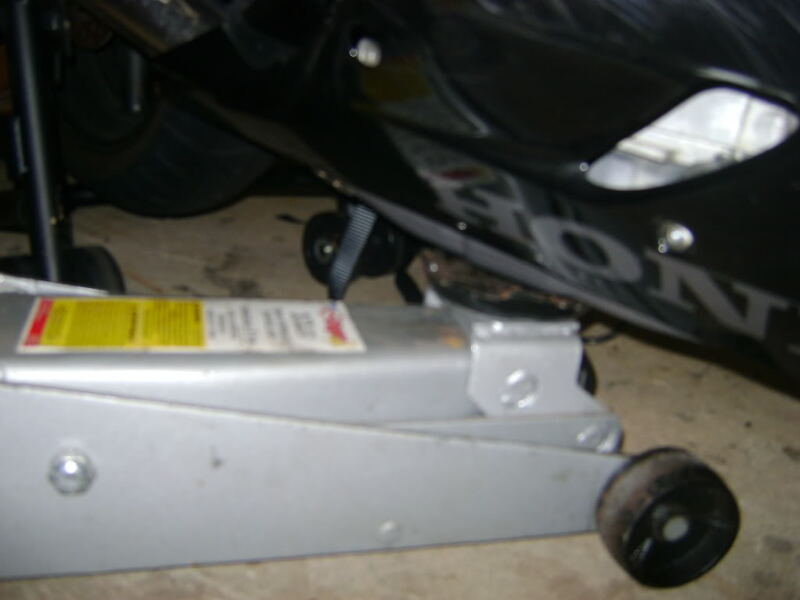 I tried to do this today, but discovered that the shock mount bolt is way shorter then yours, did you replace the bolt? 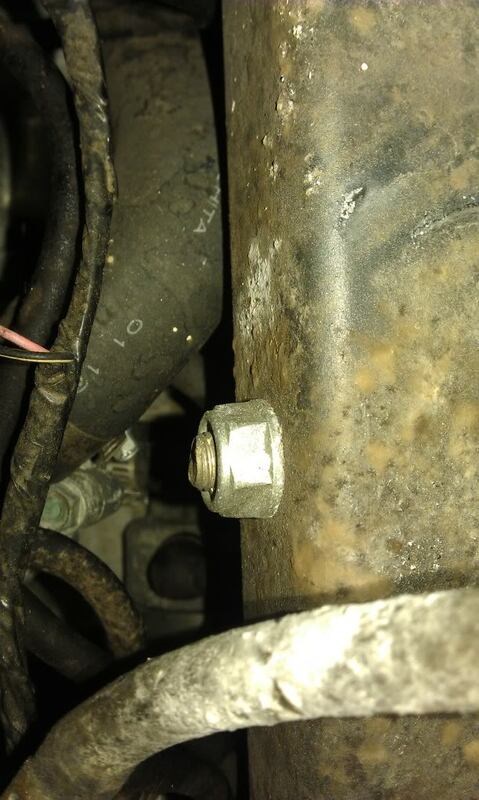 It seems like the previous owner changed bolts there, for a shorter one..... Could this have lowered the bike? Last edited by bobobob; 07-17-2011 at 01:47 PM. oh i never updated this, but after my first trackday i was getting headshake braking, and my mid corner feel wasnt good, i took out the smaller washer and everything is much better.